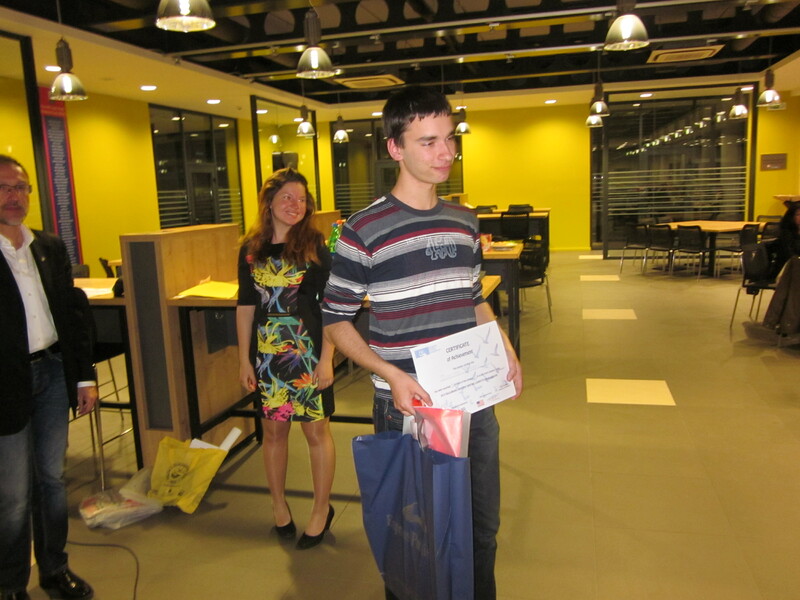 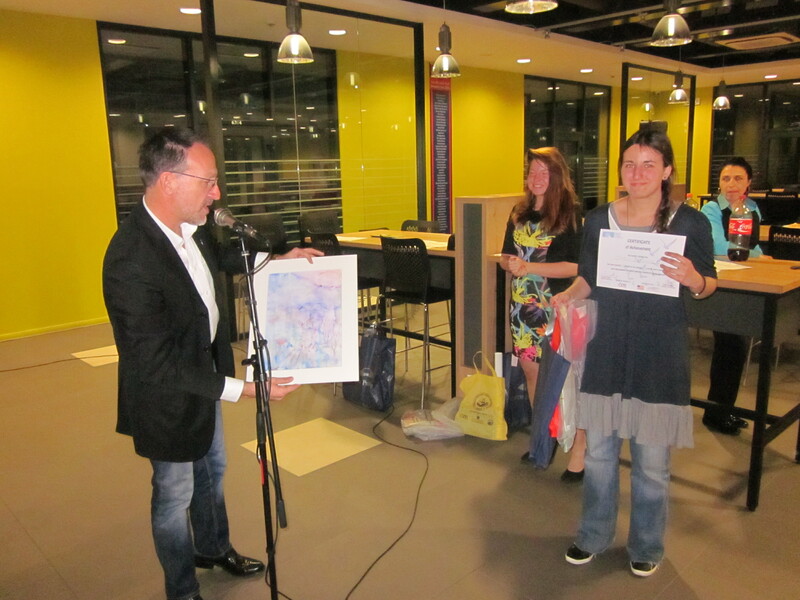 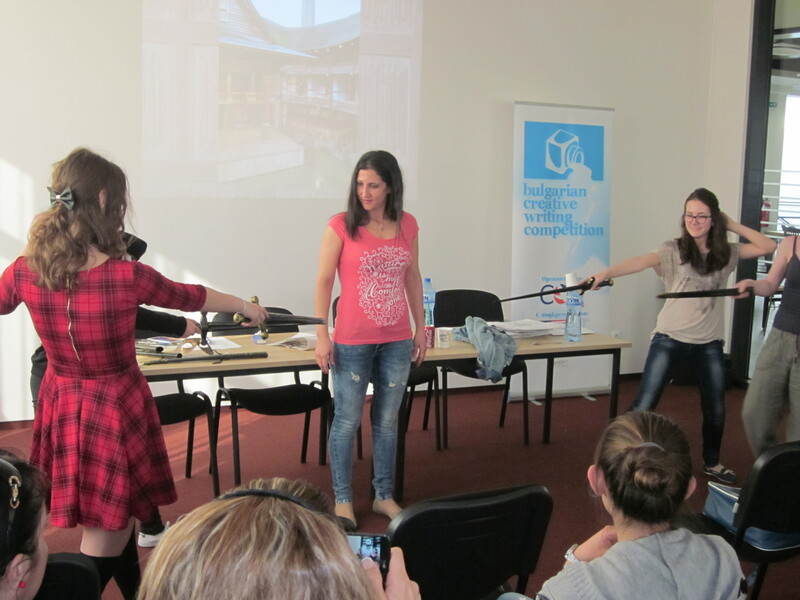 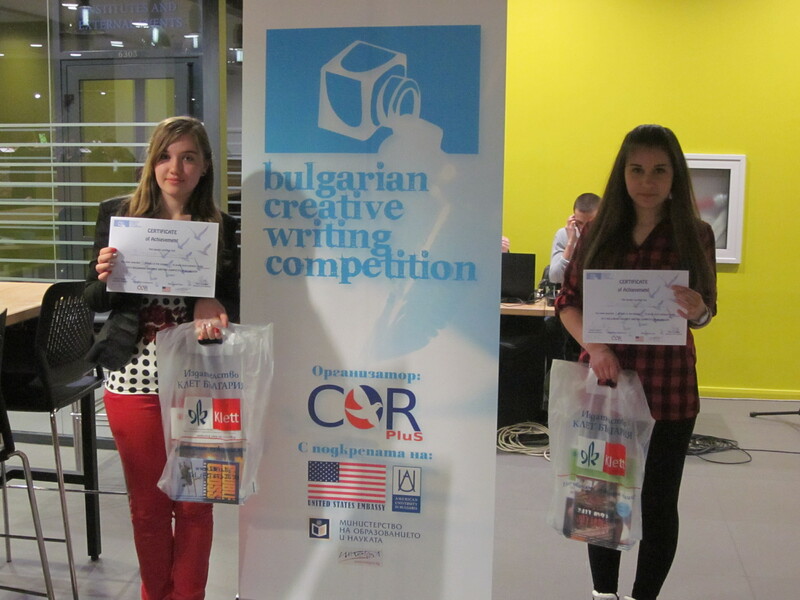 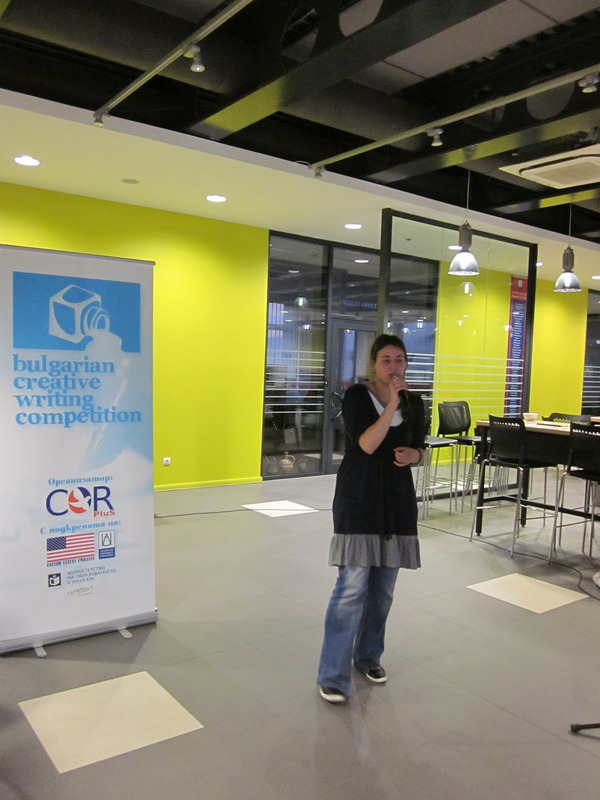 The award ceremony for the 2015 BCWC was held this weekend in Blagoevgrad. 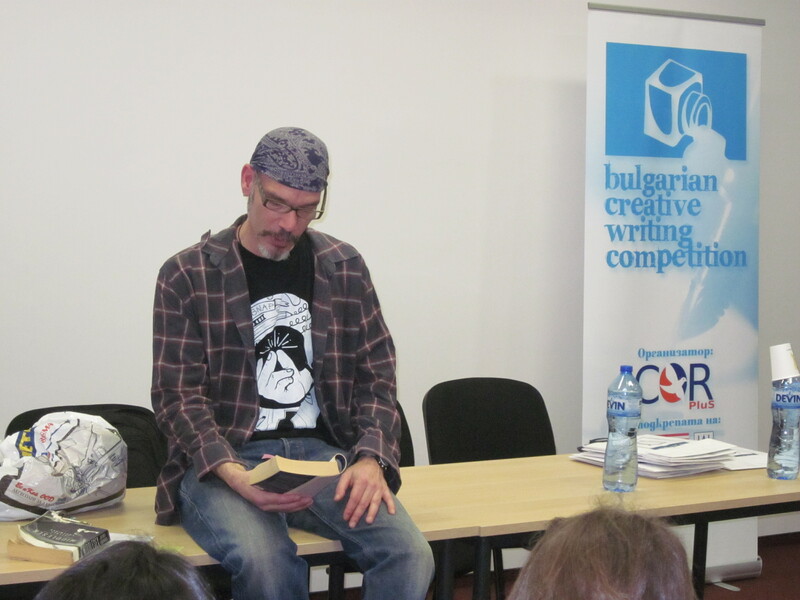 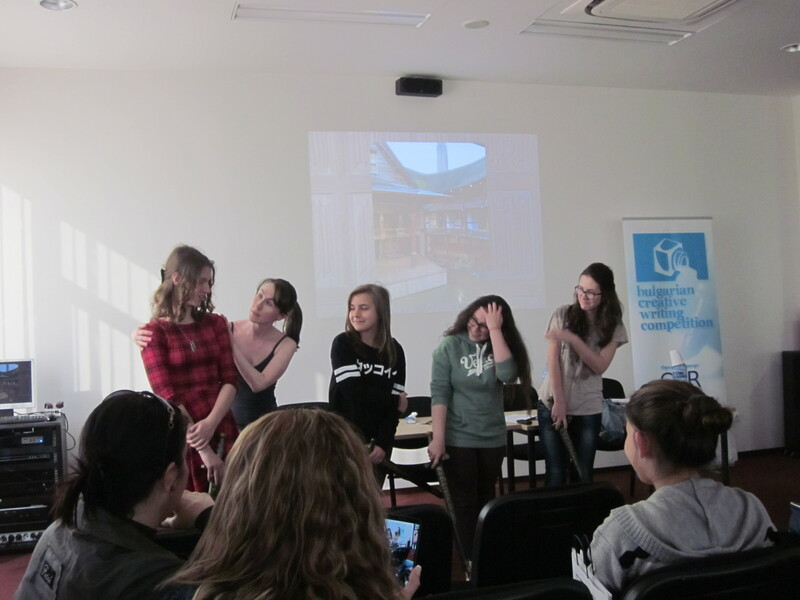 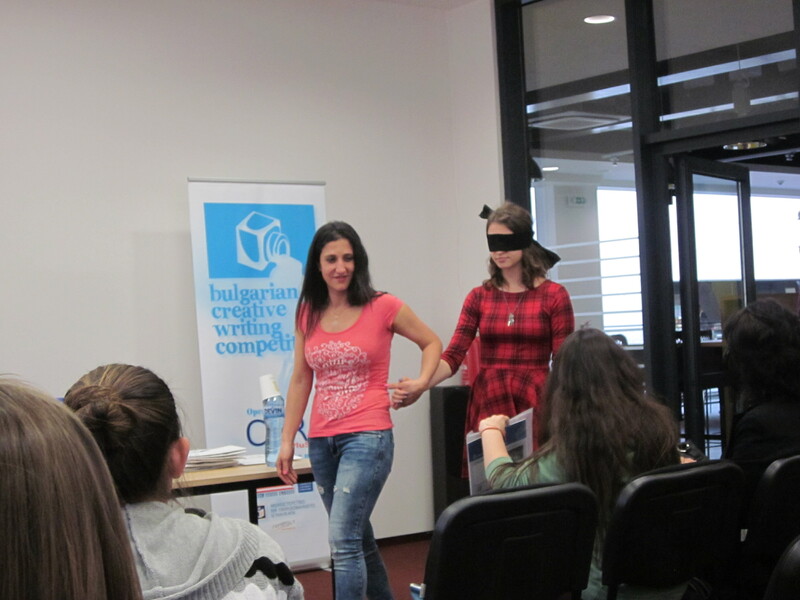 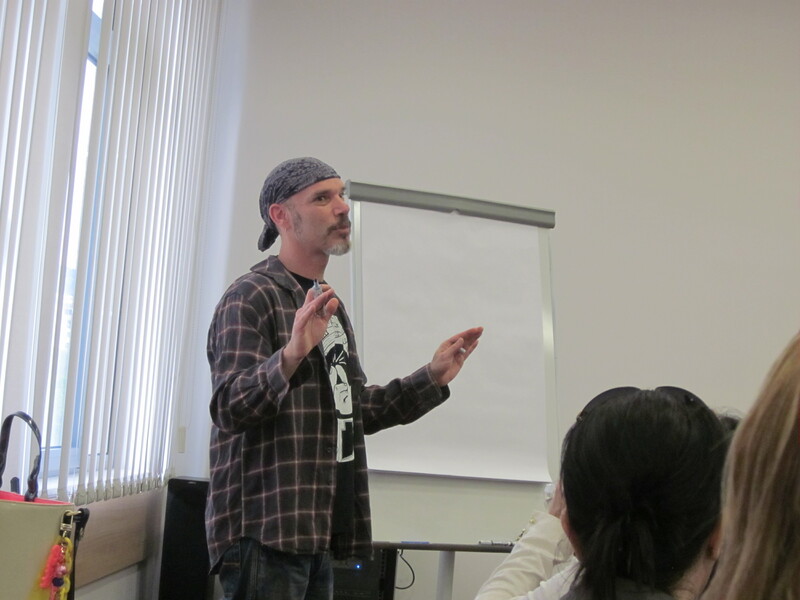 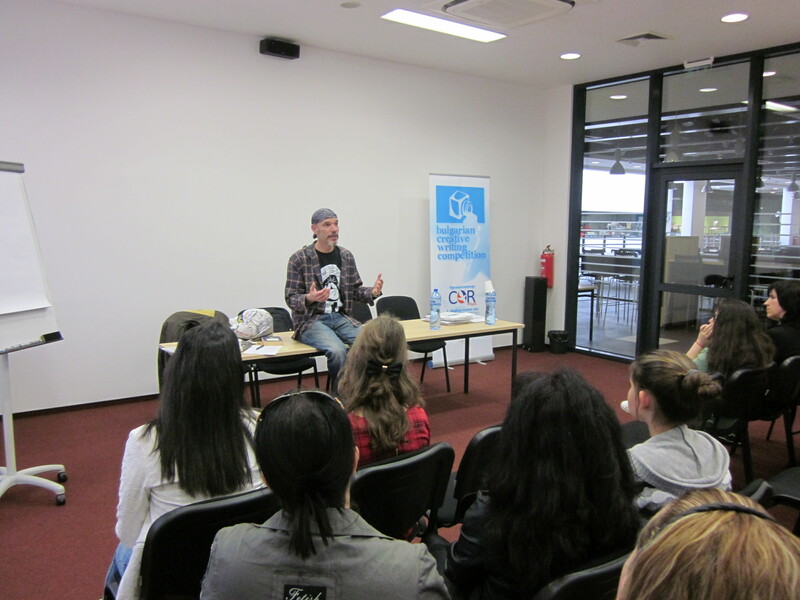 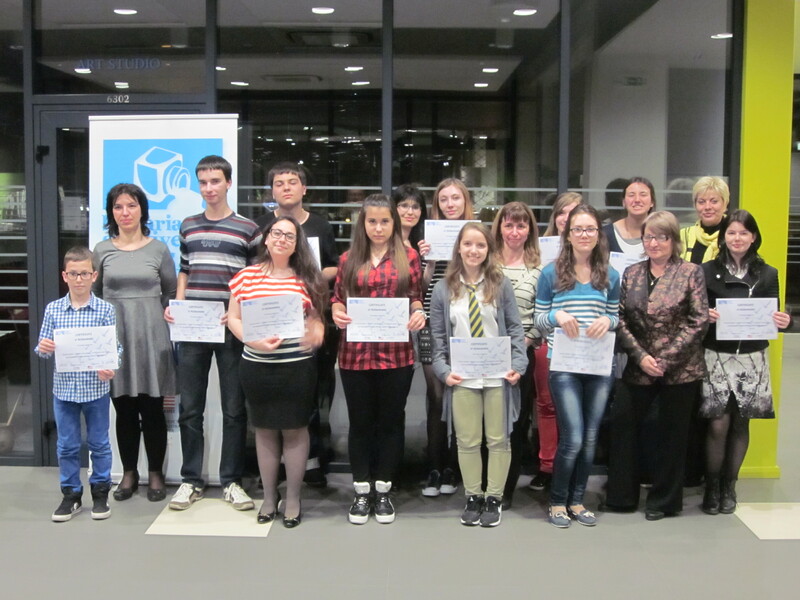 21 national winners and their teachers were invited to receive their prizes and to attend a seminar in creative writing facilitated by Professor Michael Cohen and Assistant Professor Dannie Chalk from the American University in Bulgaria. 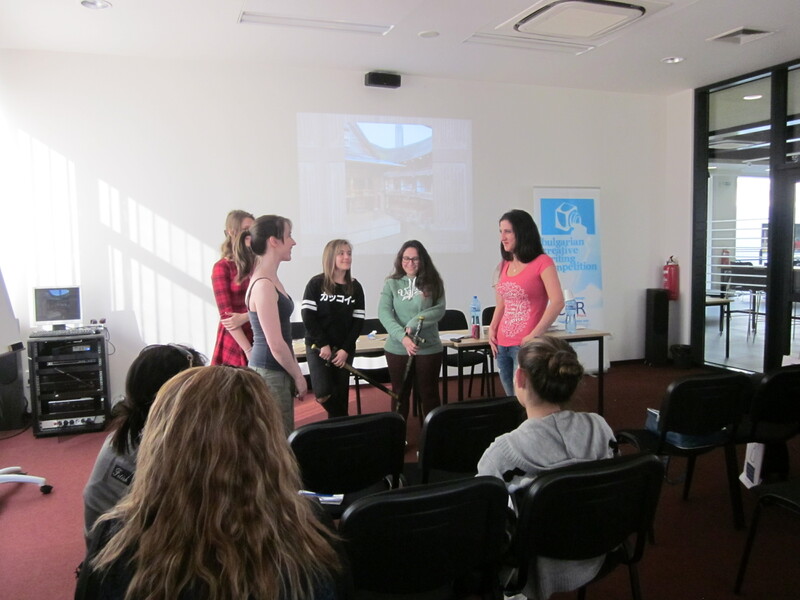 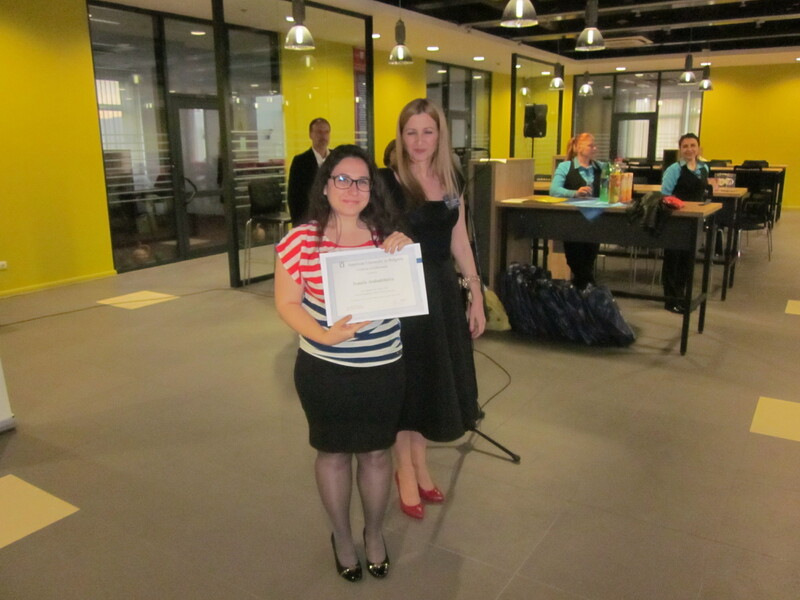 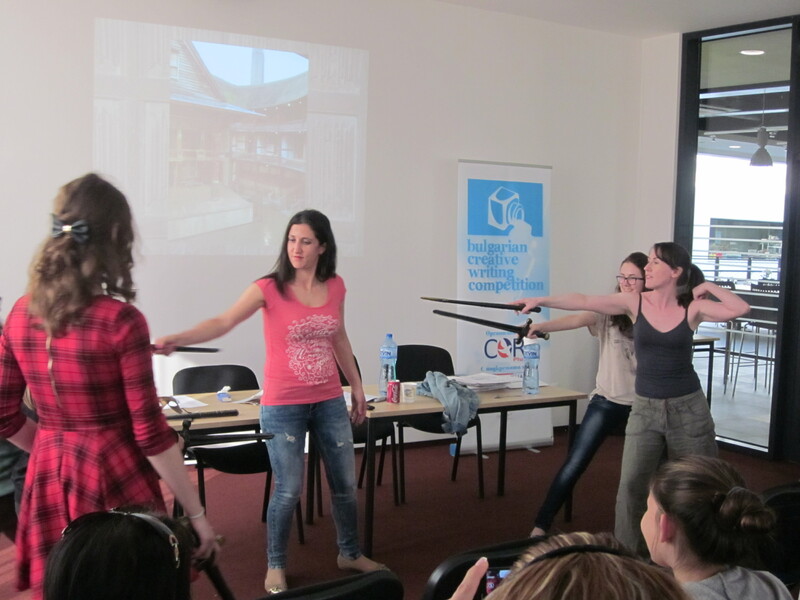 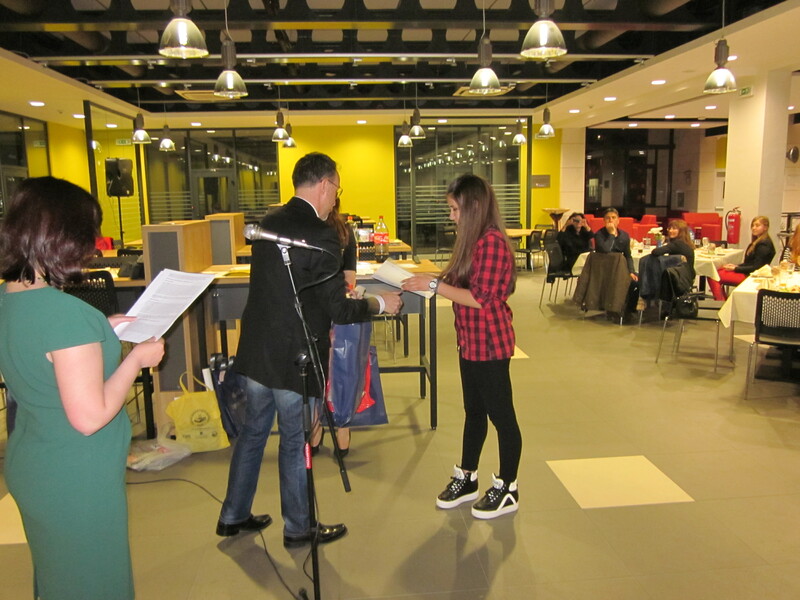 The seminar, the award ceremony and the official dinner were in the Skaptopara campus of the AUBG in Blagoevgrad. 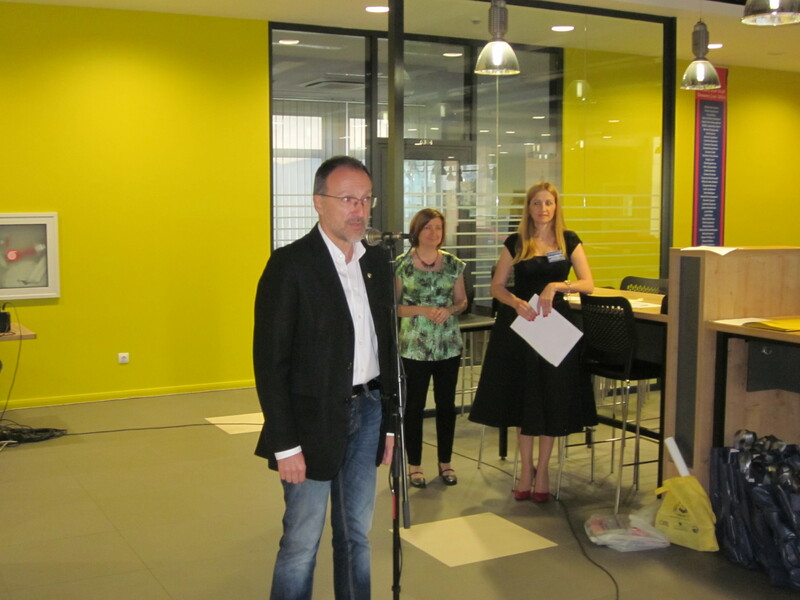 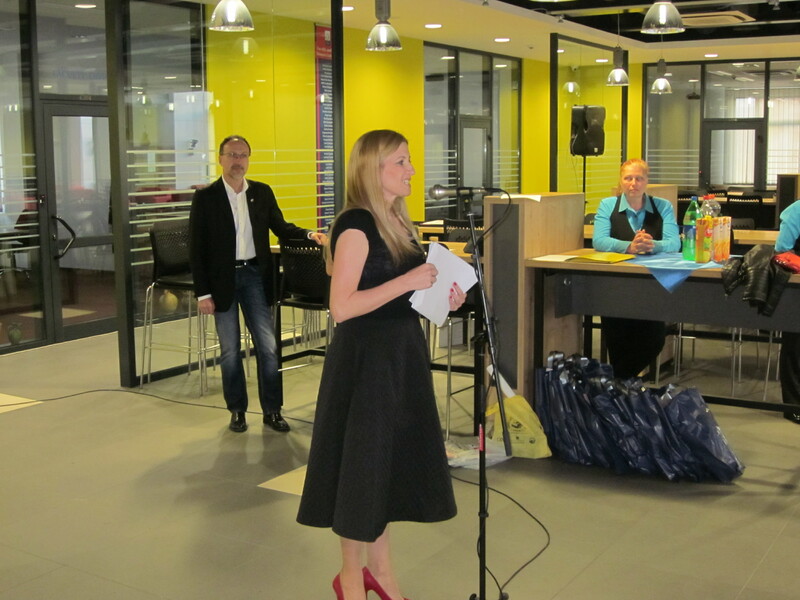 The ceremony started with some opening remarks by Dimitar Tsekov – CORPluS Executive Director, followed by addresses by Boryana Shalyavska – Director of Admissions at AUBG and Joy Mason – representative of the competition jury. 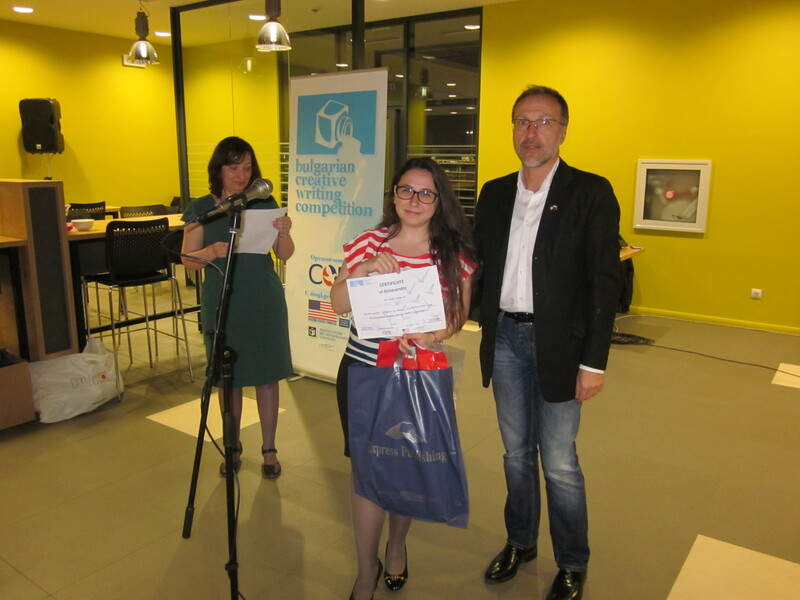 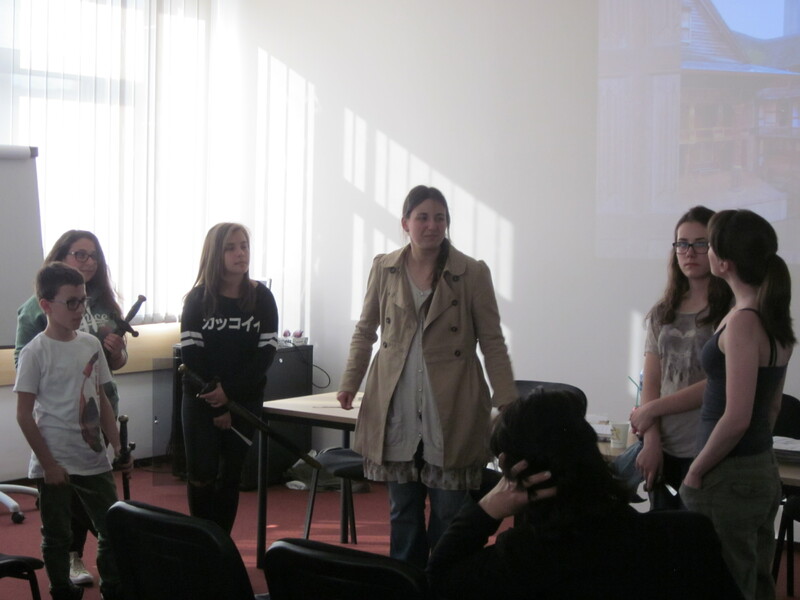 During her speech Ms. Shalyavska announced the two special awards generously provided by the AUBG – a 3-week summer educational camp (Ivanella Arabadzhieva from Polski Trambesh) and a summer TOEFL course (Militsa Russeva from Sliven). 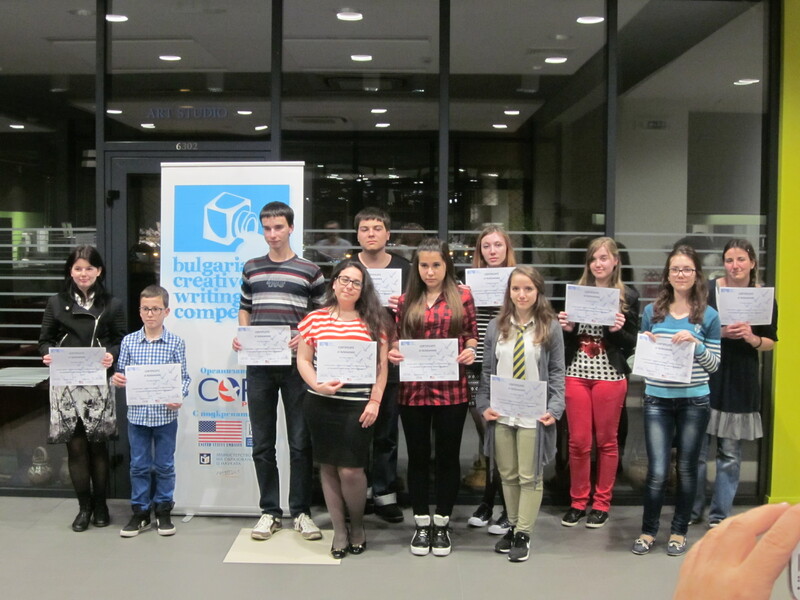 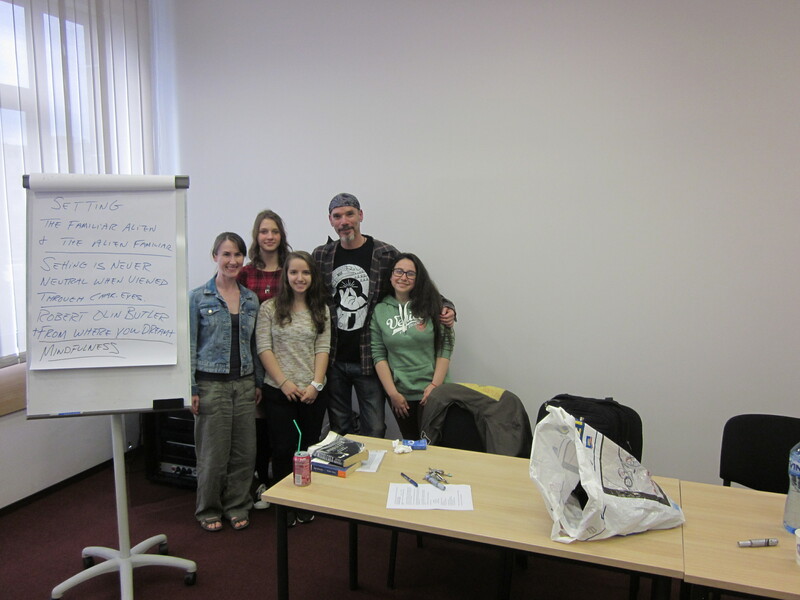 4 other winners will join the AUBG Summer Educational camp (http://www.aubg.bg/camp) for a week. 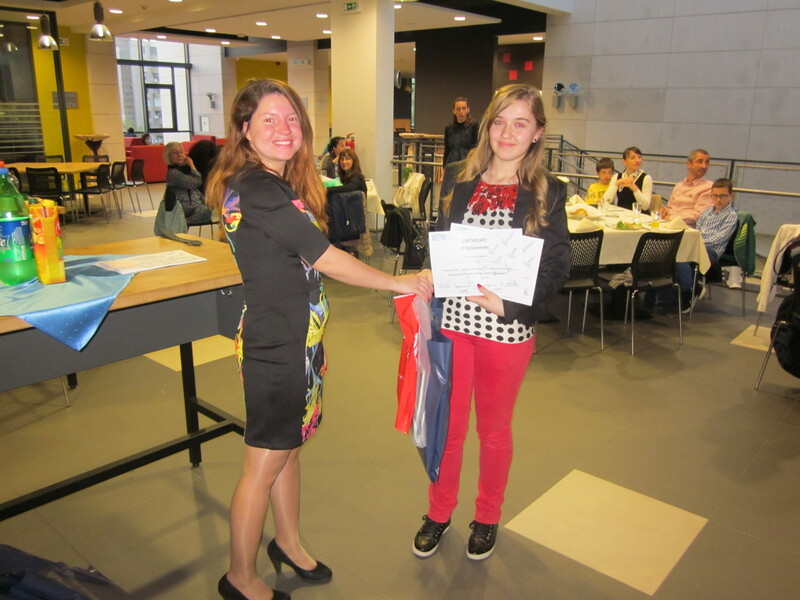 The 6th and 12th grade winners received tablets. 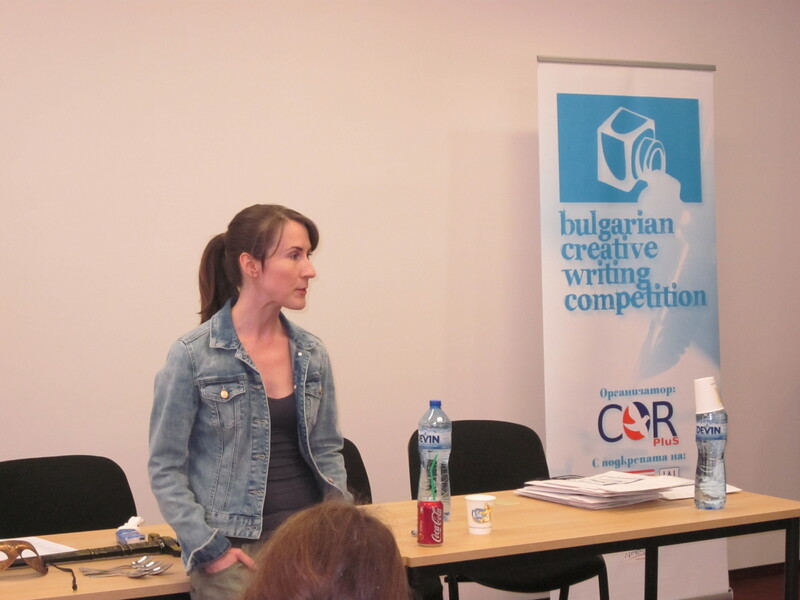 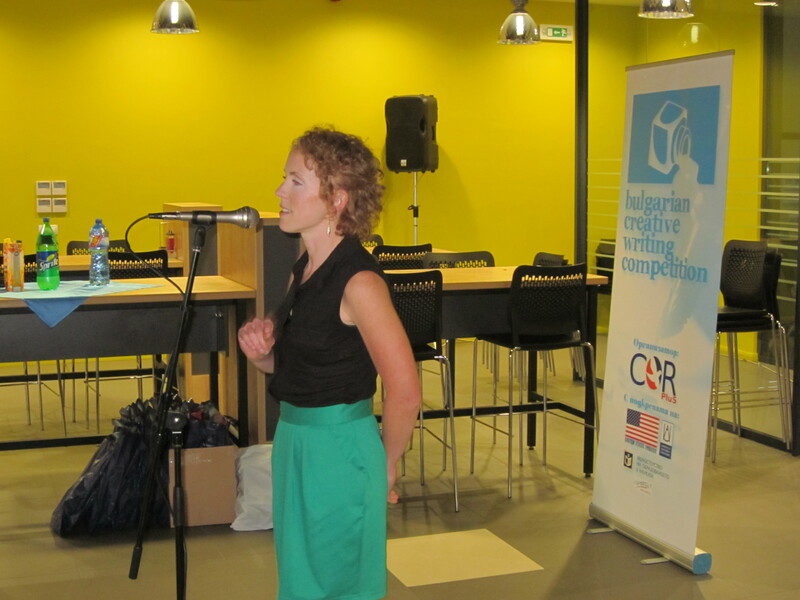 Zhana Zagorova introduced this year winners and their pieces of writing. 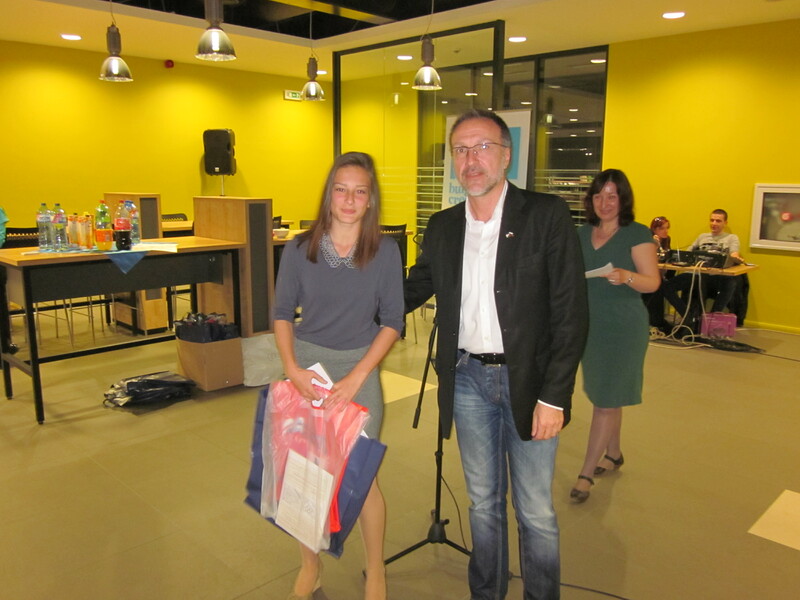 Maria Bakalova from Haskovo performed 3 songs and was warmly applauded by the audience. 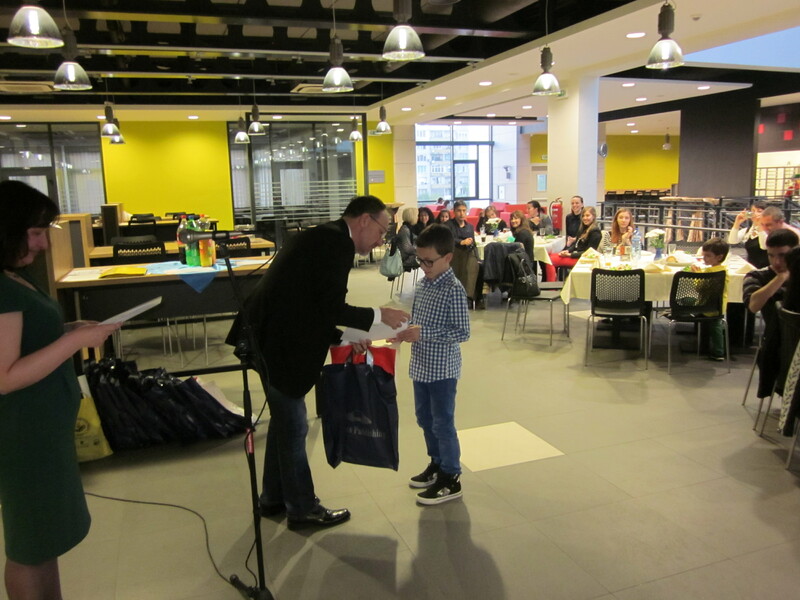 All national winners and their teachers received books in English from the US Embassy as well as prize packages provided by Express Publishing, KLETT and Macmillan Bulgaria. 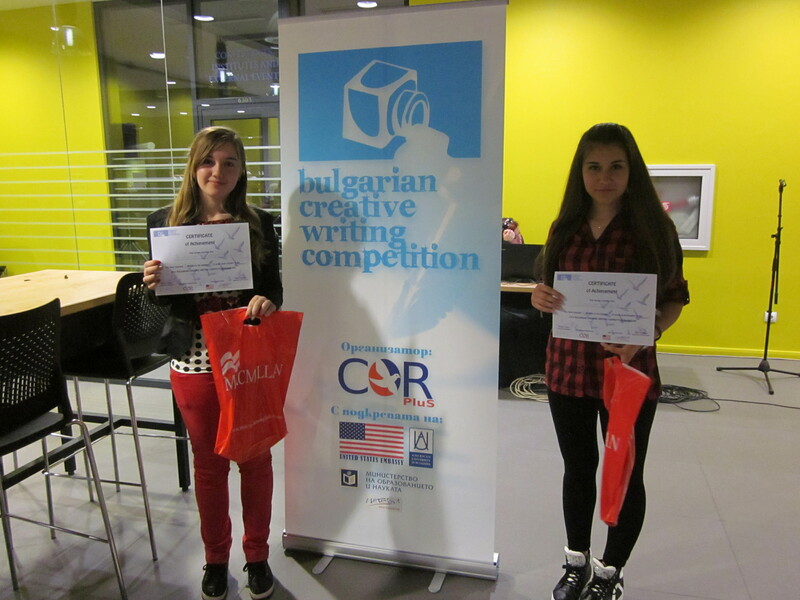 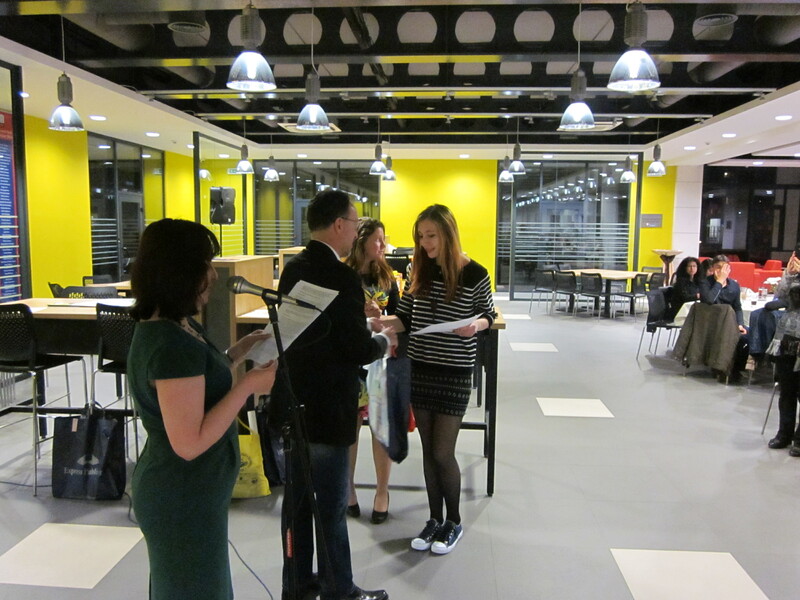 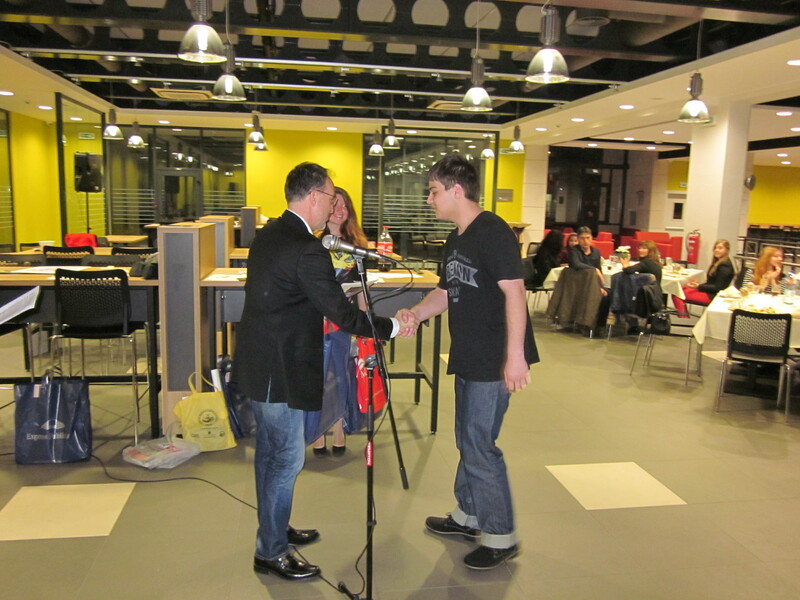 Microsoft Bulgaria provided 3 prizes which went to the holders of the lucky numbers from the rafftle. 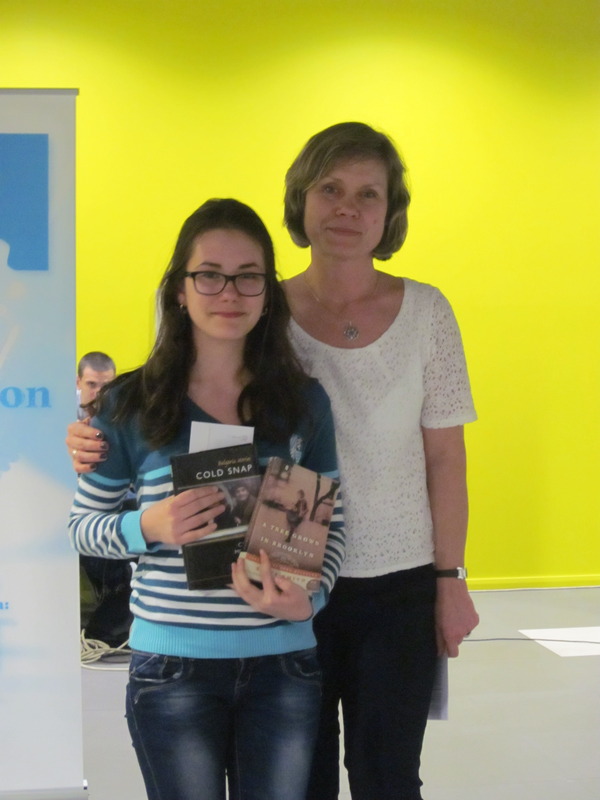 Nadezhda Markova from Ruse received a signed copy of the book “Cold Snap” and 100 USD donated by a former PC Volunteer and the book’s author – Cynthia Morrison Phoel.